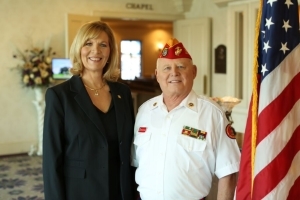 We work with Social Security and Veterans agencies on a daily basis. We would be honored to assist you and your family. Will my family be eligible to collect benefits after my death? What burial benefits are available to veterans? The subject of death brings up many difficult questions, and benefits can be especially confusing. We are here to answer your questions. We assist you in filing a claim for any lump sum Social Security benefits for which you or your family may be eligible. For more information on Social Security benefits, contact us. When a veteran is interred at St. Charles Memorial Gardens, his/her name is added to our Veteran’s Honor Roll located at the entrance to The Field of Honor. Please contact us for more information on our Veterans Benefit Programs. 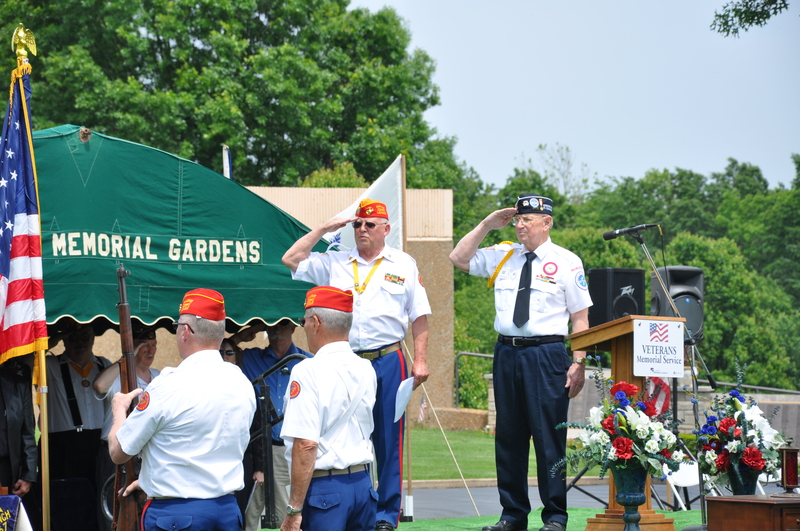 We also host the St. Louis area’s 2nd largest Memorial Remembrance Service on Memorial Day Weekend that pays honor and tribute to area veterans. The event includes a roll call to the departed, special music, and is conducted by the Memorial Services Committee of Missouri. We invite you to attend and honor those who sacrifice so much for our freedom. Learn more about Memorial Remembrance Service. In certain circumstances a burial allowance is available for service related injuries. If death is inside a VA Hospital or Nursing Home some transportation expenses can be reimbursed. We are always happy to arrange for veteran honors and benefits, contact us for more information.